Offshore construction has kicked off at what will become the world's largest offshore wind farm, the Hornsea Project One. The first of 174 monopiles, or foundations for offshore wind turbines, has been installed at the site, located off the Yorkshire coast in the United Kingdom. 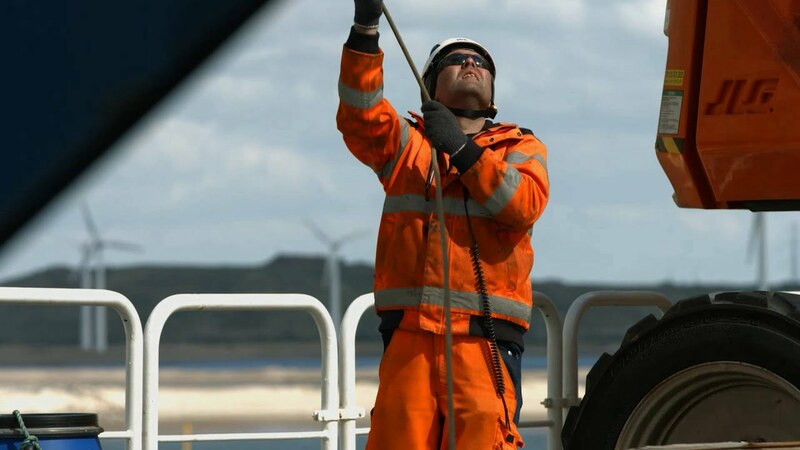 The project, developed by Danish energy giant Ørsted (formerly called Dong Energy), is expected to be fully operational by 2020 and will have a capacity of 1,200 megawatts, or enough power for more than one million UK homes. "After years of planning it is fantastic to see the initial stages of offshore construction begin. My thanks to the teams working day and night on this significant milestone," Duncan Clark, program director for the project, said in a statement. "Onshore, we are continuing to construct the East Coast Hub which will serve as an operations and maintenance base for our existing wind farms in the area and both Hornsea Project One, and Project Two which we took a final investment decision on last year." Offshore wind technology is advancing at a rapid pace, meaning the Hornsea project could one day lose its title. For instance, the Netherlands is planning to build a massive offshore wind farm proposed by Dutch electric grid operator, TenneT. If it gets the green-light, the 10,000-turbine complex could produce up to 30 gigawatts of power by 2027. That's enough electricity to power a city of 20 million people.